Another minor update since it’s the weekend! Like previously, we’ll be covering the upcoming schedule for the rotating characters and songs on the Japanese Fire Emblem World website. 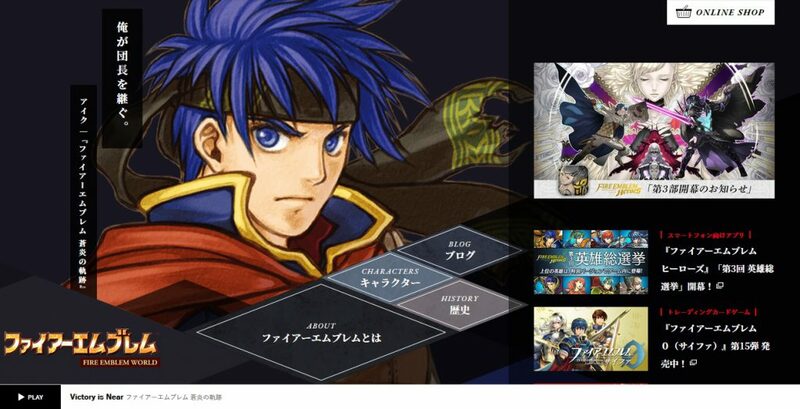 If you missed the memo, the website–which serves as a Fire Emblem hub–was updated near the end of 2018 and features a different character on the front page every day, plus a different song every week. From 25th February to 3rd March, the website will be showcasing Fire Emblem Echoes: Shadows of Valentia. The featured characters will be Valbar, Leon, Kamui, Alm, Celica, Faye and Conrad. The song of the week will be “March to Deliverance”. Just a very minor update. 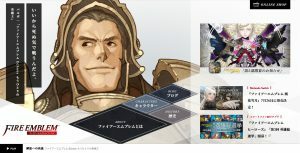 If you recall, the Japanese Fire Emblem World website had a big makeover near the end of 2018. One of the cool things about the new website is that the front page frequently changes. 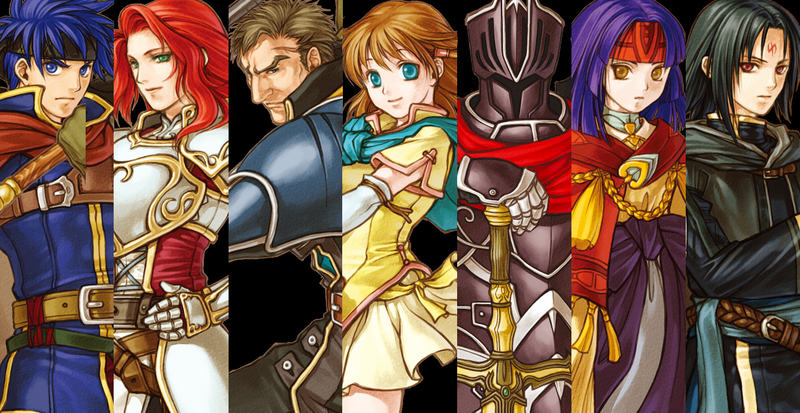 Every day, there’s a different character–from that week’s featured Fire Emblem game. Likewise, a different song plays every week (also matching the featured game). Last time, we already covered the character and song schedule from 7th January to 27th January 2019. However, what about tomorrow? For the week starting 28th January 2019, expect Ike, Titania, Greil, Mist, Black Knight, Sanaki and Soren from Path of Radiance. The featured song will be Victory is Near. Of note, the front page theme will change from white to black. 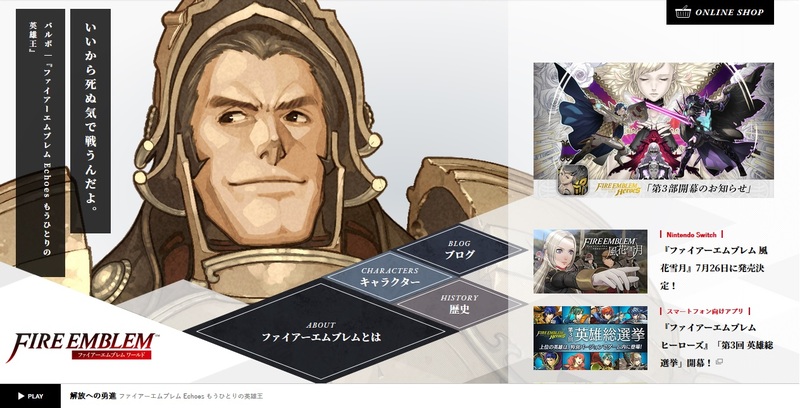 Last month, the official Japanese Fire Emblem World website had a big makeover. Presumably, in part, to prepare for the release of Three Houses later this year. Back then, the website team promised that new characters and songs would be added to the font page on a daily and weekly basis, respectively. Now that time has come. 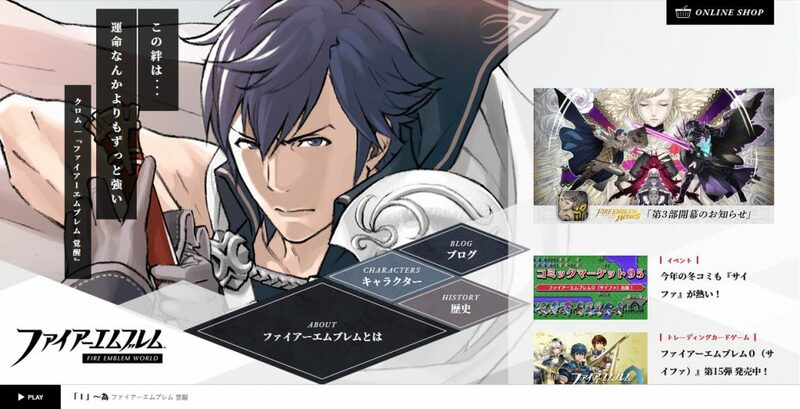 To begin with, Chrom–one of the main characters from Awakening–is the first daily character to be featured. In addition, the first weekly song is Id (Purpose), from the same game. We dig a little digging and it seems the rest of the featured characters for this week are all from Awakening too. The lucky characters are, in chronological order: Lissa, Frederick, Cordelia, Stahl, Lucina and Gangrel. Afterwards, the spotlight is scheduled to move to Mystery of the Emblem. 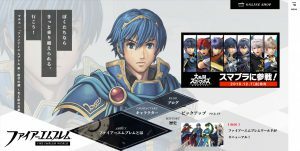 The featured song will change to Advance, while the characters will go through Marth, Caeda, Navarre, Tiki, Julian, Ogma and Merric. On the third week, the highlighted game will be Binding Blade. The weekly song will be Beyond the Sky: Roy’s Journey, while the characters will cycle through Roy, Alen, Lance, Lilina, Narcian, Guinevere and Zephiel. Disclaimer: The schedule may change without warning. Today, Fire Emblem World–the official Japanese hub site for the Fire Emblem series–received a makeover. During E3 of this year, the website was already revamped, but the finishing touches were yet to be complete. The first iteration of the website was launched in 2006, to tie in with the upcoming release of Radiant Dawn. Since then, it added various features like showcases for each game, popularity polls for Awakening and Fates, etc. However, the general functionality remained basically unchanged over the years. Now that the series is really hitting its strides–and in anticipation for the latest release, Three Houses, the Fire Emblem World team have opted for a more modern-looking design. Right now, there’s not a great deal of content, but the team promises to slowly add more over time. 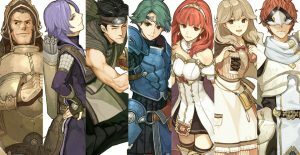 The sections currently available are: About Fire Emblem, History, Characters and Blog. At this point in time, the “Characters” section focuses on characters that feature prominently in Smash Bros. 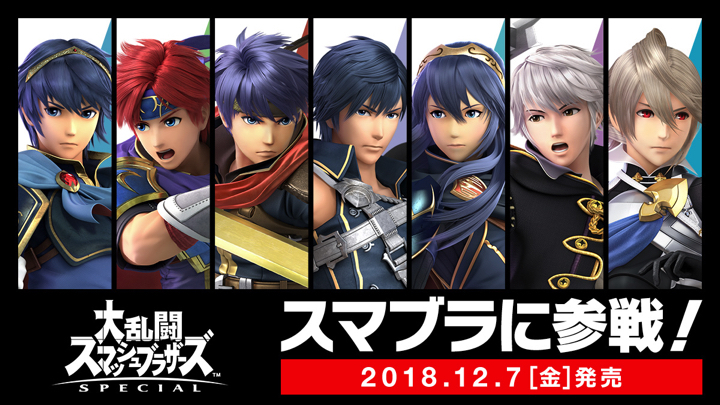 Similarly, the front page showcases the Smash fighters. Eventually, new characters will be added to the front page daily and new music will be added each week.